New member joins our Ladies Section - We are pleased to welcome Maggie Theaker to our Tuesday competitions. Maggie has yet to get her handicap, but I am sure that won’t take her too long. 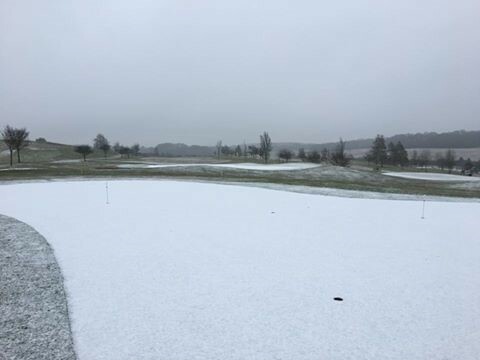 Hertfordshire Golf National Passport (Herts County Cards) - These can be purchased after 21st March from the Herts Golf Union office at Chesfield Downs for £15. They offer discounts at more than 1300 golf clubs in England. An excellent purchase if you play at other courses. 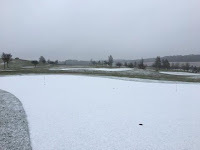 Thursday – Torrential rain all day Wednesday and overnight meant the front 9 holes were closed. Therefore our first Medal Qualifier of 2016 had to be cancelled. Mail on Sunday match. We had some very close scores, but East Herts won 4 games to our 1. Commiserations to our team, who all played valiantly - Kathy Dale, Sarah, Lauren, Virginia and Marica. Unfortunately we are now knocked out of the competition …. until next year!